1/26/13: This is pretty old now (from June 2011). Some things have changed in my regimen since then, especially my feelings about protein. But, all my other answers still hold true. 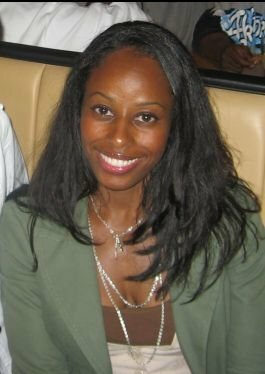 Long before I started this blog … you know, like two weeks ago … I did a couple of hair story “interviews.” One was posted on CurlyNikki and the other was on Black Girl Long Hair. However, figured I should post my story here as well to get “HairStories” started!! A: I’ve been natural for about 11 years. Q: Were you a long term or short term transitioner, and why? A: I guess I was a relatively short term transitioner, if you could even call it transitioning. I BC’d at 6 months post relaxer. Those terms and the idea of “transitioning” didn’t exist in my world or vocabulary at the time. I got my first relaxer and hair cut at 13 at a salon. From then on, either my mom or I relaxed my hair once every 6 months with a home perm. I could probably count on my 2 hands (maybe even 1) the number of times I got my hair professionally relaxed. I was too cheap for that. Anywho, at about 26, I had a bad experience with a relaxer that a “stylist” insisted she must put on my hair for a doobie at a Dominican blow out spot. I hadn’t had a relaxer in 6 months; my norm. The stylist (if you could even call them that, because it was like a huge factory assembly line in this spot) decided to pull that junk through almost the entire length of my hair and not just the new growth!!! My hair started to break off badly after that. So, that was it for me. 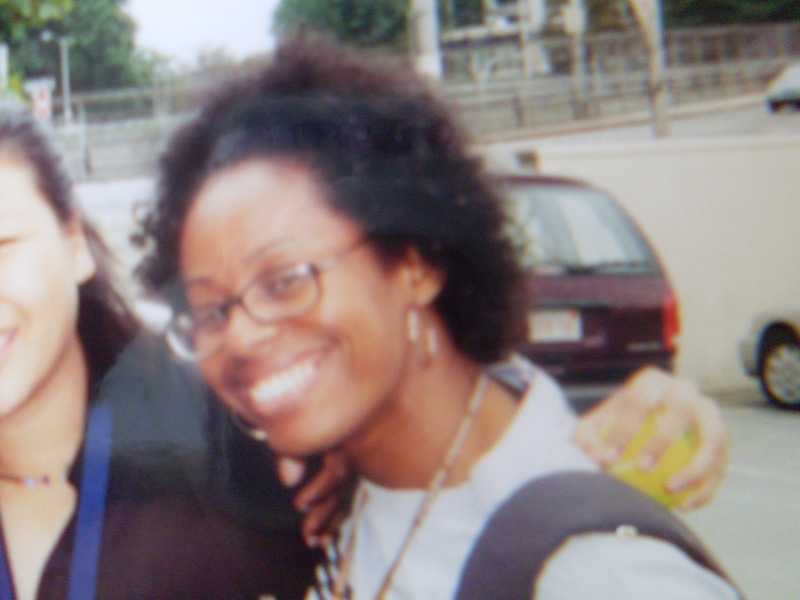 Plus, I wore my hair curly, even with a relaxer, because I worked out 5-6 days a week and sweat like a race horse. I very rarely even wore my hair straight for that reason, because it would have meant putting heat on my salty hair on a daily basis. I knew that was a no-no. 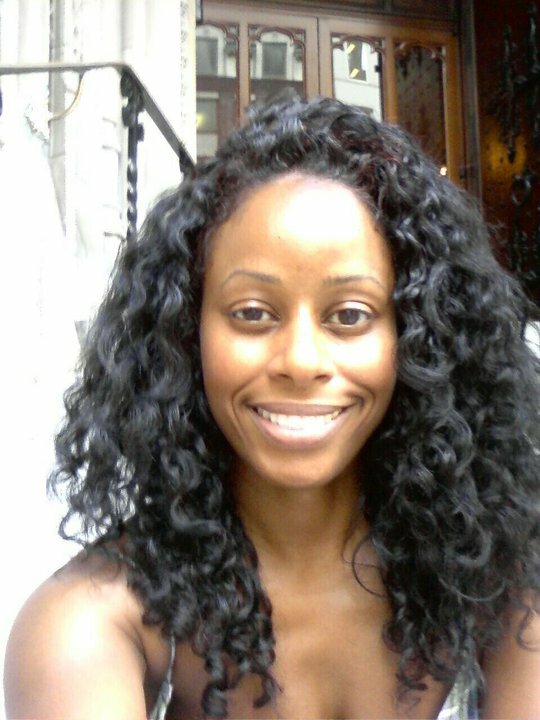 So, I relaxed my hair, but then I would use products to scrunch in the curls (my hair was never bone straight anyway). So, the decision to go natural was easy and practical for me. I didn’t wear my hair straight anyway and I was experiencing breakage so, at the point when I would have usually gotten another relaxer, I did the BC. A: See my Regimen post. Q: How do you maintain Length? Moisture? A: I never struggled with maintaining length, but I’ve achieved my longest hair in the last year, which is about an inch past BSL. In February, I requested a “trim” that turned into a cut and it looks like I’ve lost a couple of inches=/. I have learned over the years that there are probably four things that stimulate my hair’s growth and allow me to maintain a healthy, moisturized head of hair. Those things are deep conditioning every time I wash my hair (once a week or every two weeks), applying a leave-in conditioner and combing through my hair before styling (learned from a Ouidad stylist – makes detangling a breeze the next wash session and keeps my hair moisturized), using a hair butter or oil to seal moisture into my ends and staying away from protein heavy products (conditioners, stylers and gels – thanks Nik;-). Oh, and there is one more thing that I think has been very important, but has not been in my regimen as of late. If I am wearing a WnG, I never re-wet/re-fresh with water. If I re-wet/re-fresh, it is with a leave-in conditioner (like Infusium 23) or a regular conditioner diluted with water. A: I sleep on a satin pillowcase and wear either a satin scarf, bonnet or both. I sometimes pineapple if wearing a TnC, but it’s still not the best solution for me. My nape hair is almost completely straight and I have to work to make it blend in with the rest of my hair. The pineapple can stretch that hair and ruin my blending efforts. However, given that I’ve been wearing a lot of protective styles lately, I haven’t had to worry about securing loose hairstyles. Q: What would you tell a new natural, or transitioning diva? A: You know, the most important thing for me to tell a new natural or transitioning diva is to love their own head of hair. I think we all have moments of curl envy as we see all the gorgeous heads of hair out there. You may think that someone has the most fabulous head of hair ever and that they couldn’t want anything else, but you’d probably be completely wrong. I drool over hair of all different shapes, lengths, curliness, kinkiness, thickness, etc. and wish for thicker hair, curlier hair, hair with more shrinkage, longer hair, etc. But, at the end of the day, I’m good with my head of hair=). I enjoy it immensely. So, I think it’s important to look at the blogs and YouTube videos with a healthy appreciation for all the variety out there, but a healthy appreciation for your own head of hair too. There’s nothing I hate more (well, that may be a fib … but, I’m trying to prove a point;-), then someone saying “you have ‘good’ hair” or that, if they had my grade of hair, they would have been natural years ago. It’s nothing against the person who says it, but I get annoyed that our world that has “taught” people this lie. I just want them to know that no matter the texture or length of their hair, it is and can be beautiful if they take the time and have the patience to learn how to treat their hair well. Q: What’s the best thing about being natural? A: For me, the best thing is inspiring others to go natural! My sister and mom both went natural shortly after I did. My mom rocked a short, tapered cut with a Jerri Curl for a couple of decades!! Long before I decided to stop getting relaxers, my sisters and I would constantly tell her she should stop getting Jheri Curls because the “new growth” at her shaved nape was full of gorgeous curls! So, it was very rewarding when my youngest sister, then my mom, went natural within a few years of my BC (though my sister recently told me that I didn’t inspire her, that she was already contemplating doing it and that my mom was inspired by her. Go ahead Shana, I know you want to say it. *LOL*). All of our textures are different and I constantly want to get my hands in their curlier heads to experiment with all of the styles that I’ve learned over the last year=)! Also, a few people at my job went natural after I did, and I think my natural hair may have played a little role in that (or maybe not). So, it is really rewarding to see others let go of the “chemical dependency” and embrace healthier hair. Great hair story! I always read your posts on CurlyNikki, so I’m always on your site. How can I go about submitting my hair story on your blog? Also, were you about to cry on your baby pic? The pic is sooooo adorable! I think I was already crying! *LOL* I was known as a cry baby among my family. They even had a crying song for me. So mean. It made me cry. *lol*! Lol, I had to comment on this one. 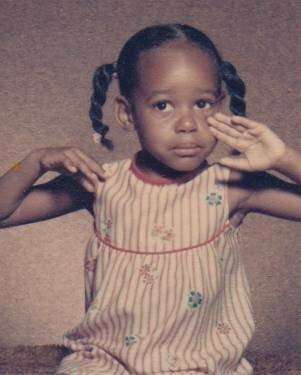 I was also a cry cry baby and my siblings including my parents at times, used to tease me by singing in a “crying mode”, making the situation worse. Thanks! I’ll get right on it. I finally have the courage to share my hairstory. LOL….they made up a song about you crying?! I have a song for my son called “Talk Talk Talk” because he can talk anybody’s ear off! Awesome, can’t wait to get it!! And, ha! The song my sisters and cousins sang about me had the following lyrics, “Wah wah wah wah wah” (repeat over and over again). Hi Imogen. Thank you so much! As to the last two pictures, I can’t take credit for the style/look as my hair was actually done at a salon in those pictures. It’s a WnG that I had done at Christo Fifth Ave. My stylist was great (Tameeka McNeil Johnson: jadedtresses.com) and essentially “shingled” a couple of products through my hair in sections and then diffused. However the Christo products left my hair dry the next day. I suspect that is because the gel was protein based one and my hair does not like protein too much. Thank you so much Naj=)!!! There actually was a link with my name and site under the first pic. The woman who told you who I was is one of my NaturallyCurly.com GOC blogger friends=). She so had my back=)! LOL!! I haven’t figured out how to make videos yet. I’m kind of scared to do one as I won’t know how to edit it! LOL! But, what I have done is taken pictures and put together slide shows. Have you gone under my Style Tutorials tab? I’m trying to build a “library” of styles=). Oh! That gave me an idea! I think I’ll change that tab to Style Library=)!! Anywho, hope you check it out and subscribe if you like what you see=)!! Thank you again=)! ohh can you not post that comment, i didn’t realize it would show my FULL name. Gotcha;-). And thank you!! I just started it a little over 2 weeks ago. You know you can subscribe to get notified about new posts … hint, hint. LOL!!! Also, your avatar is gone now. Not sure if you want to add that back into your profile. Again, thank you!! Hi… Happened to come across your blog while searching for something (for what escapes me at the moment). Really intrigued by your blog. I’m not natural but I flip flop back and forth about letting my relaxer grow out. Anywho, I have a quick question… I also love to workout (5 days a week on average) and it’s so tough to maintain any type of style. I, too, sweat a lot, especially in my hair. How do you wear your hair doing workouts? Do you do anything special to it after your workout? Hey… Me again… Disregard my previous comment. Found what I was looking for under Health and Fitness… Duh… Seems like the obvious location to find what I needed! LOL!! I’m glad you found it and I made it easy enough to find=)!! Hope it was helpful! 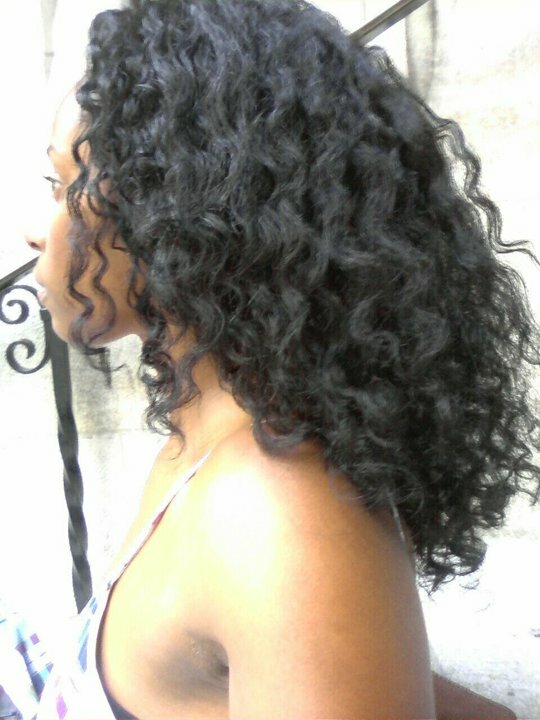 Can you provide a picture of what your hair texture was like prior to beginning your Henna Regimen?